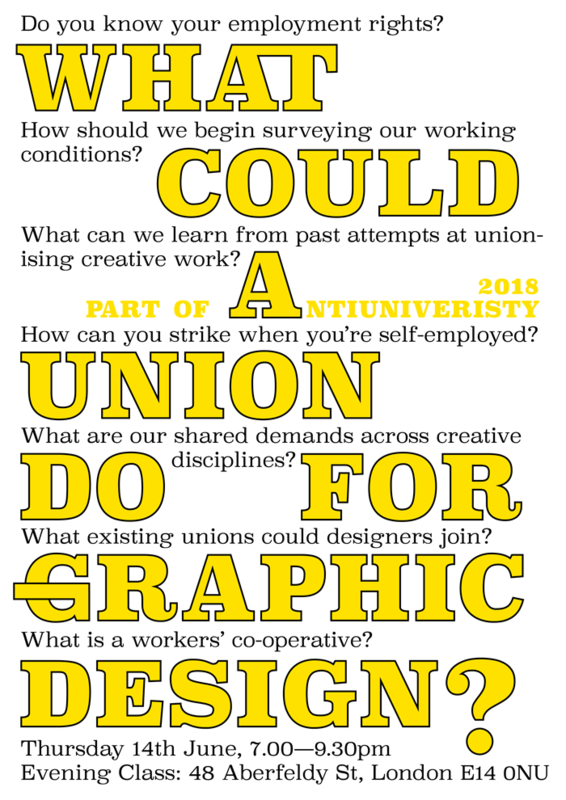 Evening Class | What could a Union do for Graphic Design? 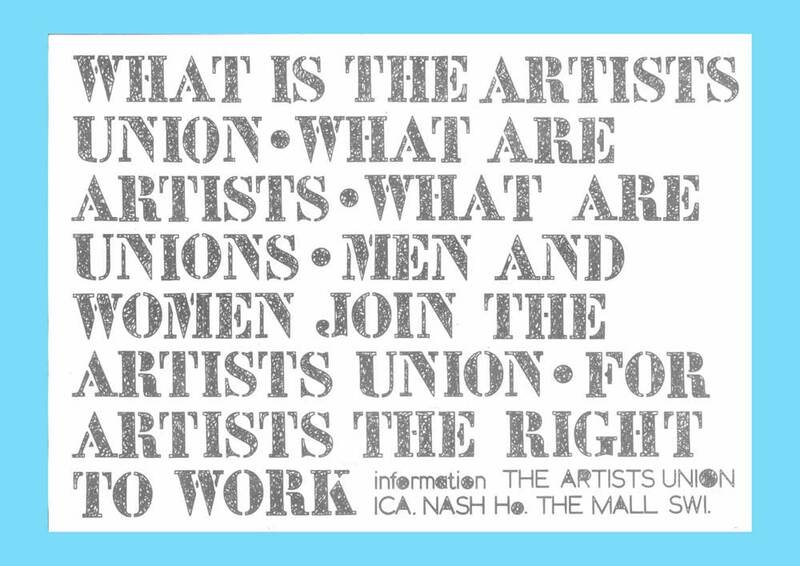 What could a Union do for Graphic Design? 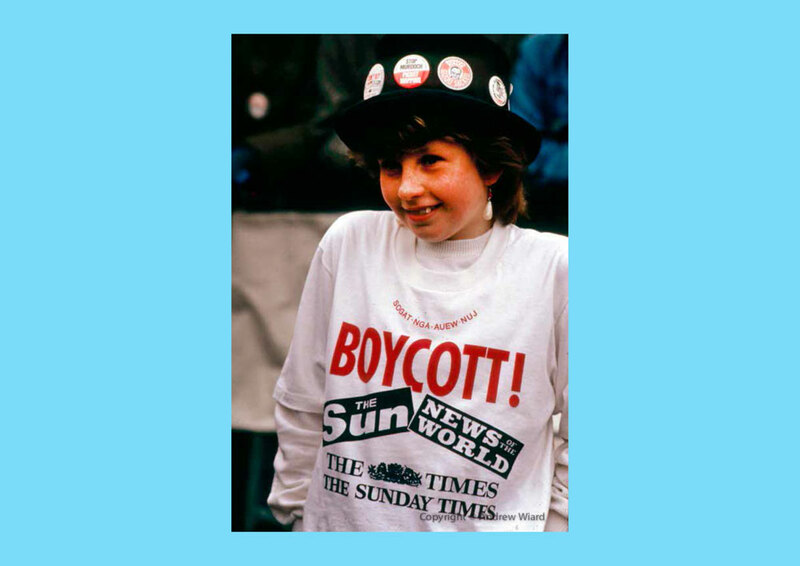 Following on from Against Undisclosed Salaries, the open letter we sent to creative jobsboards, Evening Class presented research into unionising and co-operative working structures, including historical precedents and possibilities for the future, as part of Antiuniversity 2018. 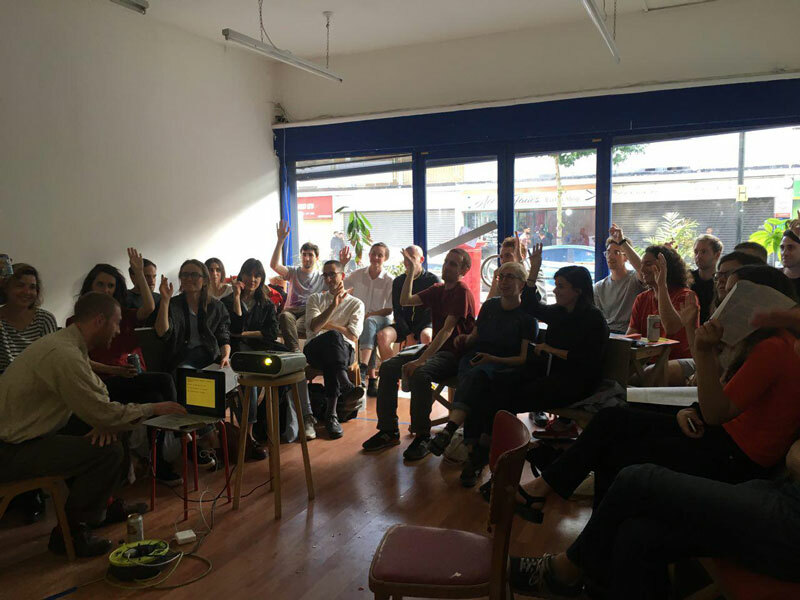 The event aimed to bring together those already actively researching and reshaping the conditions of creative work; artists whose practice reflects and comments on artistic labour, activists surveying and reforming the material conditions of working within the cultural landscape, union representatives, and members of existing workers’ co-operatives. We intend to identify the intersectional aspects of different forms of creative employment, in order to form an active community able to hold employers to account. We are in the process of collating our research into a more detailed report and survey in Autumn 2018 and wider survey. Please send us an email if you would like to be kept up to date with our progress or would like to be more involved. Can we design a more perfect union? This event ran in parallel with the first Workers Inquiry: Architecture open meeting in May 2018.